So declare the Magi in John Henry Hopkins's well known carol We Three Kings of Orient Are. They are addressing the star, clothed in royal beauty, which will eventually lead them to Jesus, that "perfect light". Whether we call them kings, wise men or Magi, the travellers who followed the star are familiar figures; they are as much a part of our Christmas furniture as turkey and tinsel. We know them from our carols and Christmas cards. And no school nativity play is complete without a troupe of wise men, bearing their symbol-laden gifts of gold, frankincense and myrrh. Often, to emphasise the length of their journey, the actors get to process around the assembly hall, paying homage to the baby Jesus just as a makeshift star gets hoisted above the stable. There is no doubt that the Magi are integral to the Christmas story but it is their celestial guide - the star of Matthew 2 that leads them from east to west, via Jerusalem and the murderous King Herod, to the baby Jesus in Bethlehem - that should really make us stop and think. As Colin Nicholl, author of a beautifully produced and deeply impressive new book called The Great Christ Comet, writes: "What was this 'star'? What was so striking about it? 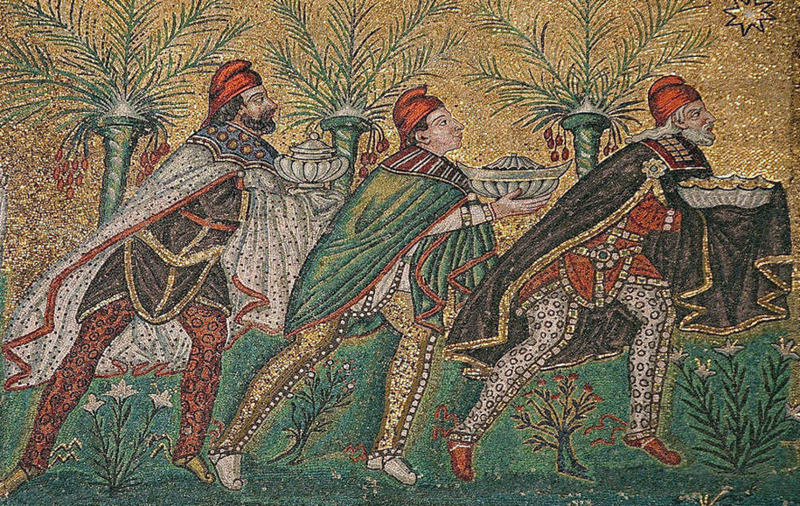 What convinced the Magi to make their trek westward? "How could the star appear in the east, guide the Magi to Judea in the west, and then lead them southward from Jerusalem to Bethlehem, and finally pinpoint the very place in Bethlehem where the Virgin Mary and her holy son were?" These are the sorts of questions that most people, if we are honest, prefer to avoid. The Star of Bethlehem is therefore safely dismissed as a myth, merely another layer of folksy invention to add a bit of magic to a story which - with its angels, virgin birth and idea of God becoming man - already sounds incredible to the ears of modern, supposedly rational men and women. None of these explanations satisfied Nicholl, who has set about working out what this star actually was. "There can scarcely be any doubt that the Star, if it really did exist, was the most extraordinary phenomenon ever seen by humans," he writes, though he is motivated by more than idle curiosity: "Moreover, if it occurred and coincided with the birth of Jesus, then it would constitute a dramatic corroboration of Jesus's claim to be the Messiah." For Nicholl, this sort of corroboration is key to how the Bible works; its series of interlocking promises and fulfilments are woven in to history, serving to authenticate its claims and message. Nicholl brings to the problem the credentials of a first-rate biblical scholar. From Coleraine, he followed up theological studies in the United States with a PhD from the University of Cambridge, where he went on to teach. He returned to the US to take up a post as a professor of New Testament at Gordon-Conwell Theological Seminary but is now devoting himself to biblical research, of which The Great Christ Comet is early fruit. "Part of the problem is that academic interest in the Star of Bethlehem has been largely confined to the astronomical community, with relatively few contributions from the theological community," he says. "This has resulted in a scholarly debate that is heavy on astronomy but light on theology and history." 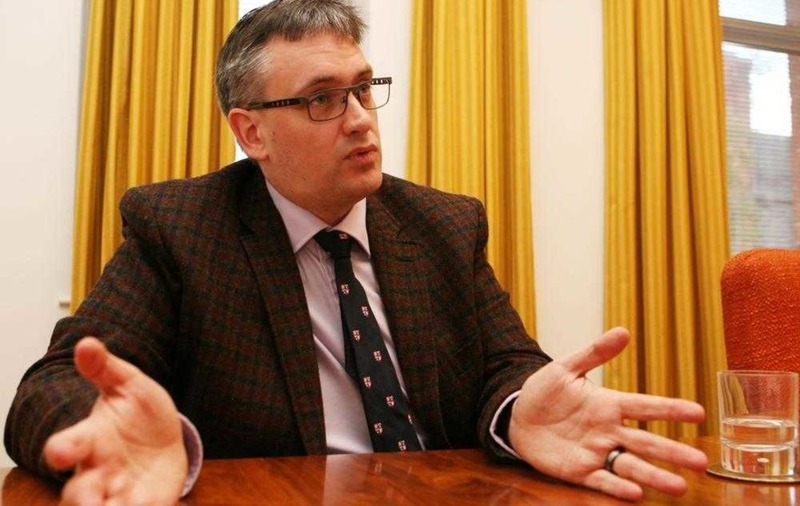 Nicholl, who is now based in Coleraine with his wife Sirscha and daughters Gabriella and Evangelia, explains that his job is to ask: "What does the Bible say in its original context? What does the text say, what is the historical context? "If the text points me in the direction of studying geography or history, I'm willing to do that if it helps us get a little deeper into the biblical text or understand more about the circumstances in which a particular part was written." In the case of the Star of Bethlehem, this meant immersing himself in astronomy - not a science with which he had previous experience. He was frustrated with how astronomical discussion about the star didn't fit with the biblical account, as well as how it was assumed that in his gospel Matthew must have been exercising poetic licence in his account of the Magi's journey. As Nicholl says, why would Matthew all of a sudden start writing as myth when the rest of his gospel conforms to the genre of careful historical narrative? 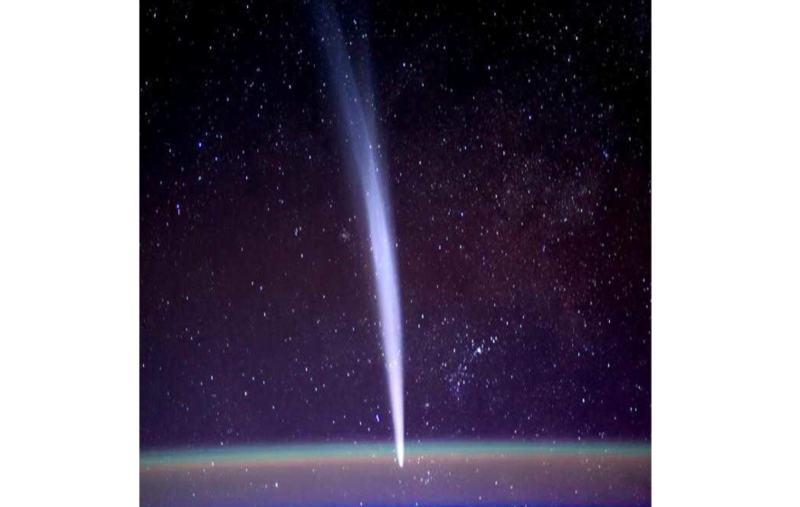 Early research led him to conclude that the star followed by the Magi and which pointed to Jesus "had to be a comet". "It was an astronomical entity - Matthew talks of 'his star' and how it 'rose' - and these Magi are able to say precisely when it first appeared," he says. "That's all telling you these are professional astronomers, who are looking at the stars and keeping a daily record of them." Matthew's account "fits beautifully" with what we know from other sources such as the historian Josephus and our knowledge of Herod, says Nicholl. For example, Josephus speaks of a comet that lasts for over a year and stands over Jerusalem, using the same language as Matthew. He also makes the point that "no early Christian would have invented astrologers to be the heroes of the story". 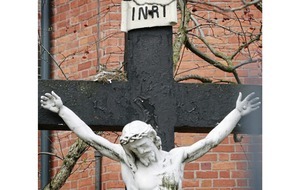 "They were despised in Judaism and early Christianity. The original audience would have known how radical it was for these astrologers to come and endorse Jesus," he says. "The Magi perceived great meaning in this star and in what they were doing - they not only perceive that the Messiah is being born, the king of Jews, but also that he is divine because they come to worship him." Nicholl thinks it likely that the Magi travelled from Babylon. It was the centre of astronomy and astrology - two sides of the same coin in ancient times. It also had a significant Jewish population; this helps explain why they were familiar with the various prophecies, such as those found in Isaiah 7-9 and Numbers 24. As Nicholl builds his case, he carefully and comprehensively examines Scripture and various other historical sources. 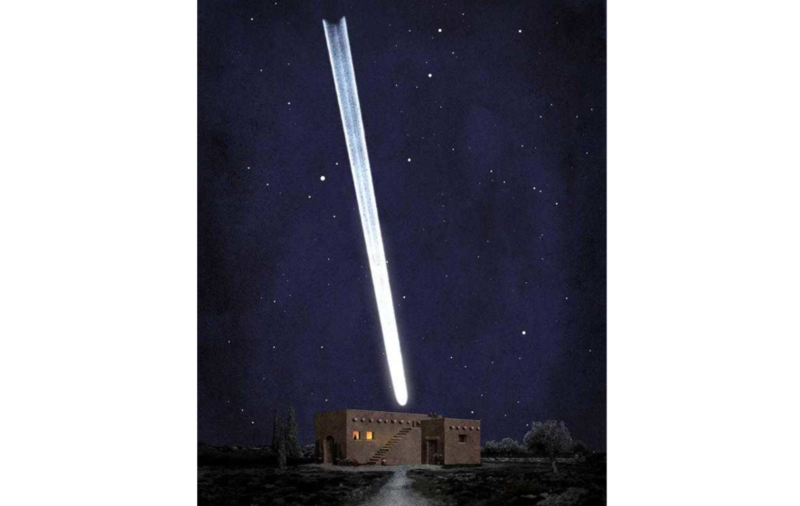 There is also a great deal of astronomical study and by piecing together his evidence, Nicholl became convinced that the Star of Bethlehem "satisfies the criteria for cometary greatness". "In fact, all things considered, it is undeniably the single greatest comet in recorded history," he says. In recent times, only the comet Hale-Bopp has come close to what Nicholl calls the Great Christ Comet. Hale-Bopp was also visible to the naked eye for around 18 months - "critically important as it puts it into the same ballpark as the Star of Bethlehem" - and if Earth had been at a different point of its orbit, it would have been even more striking. 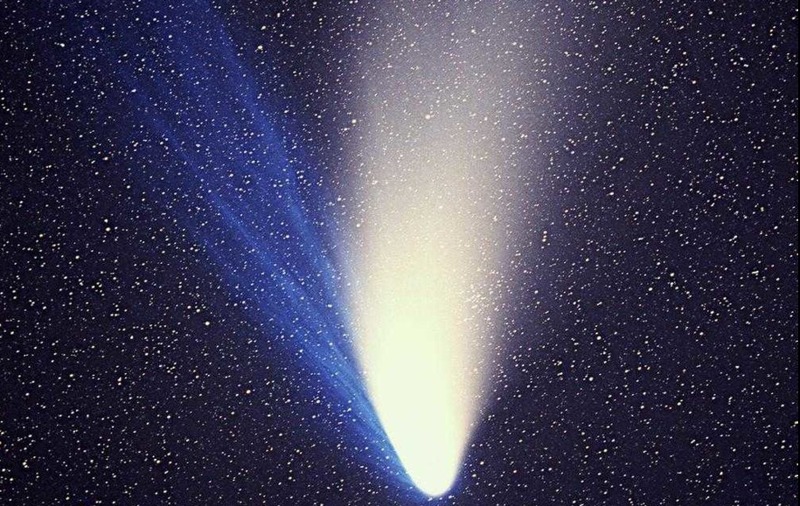 "Had it occurred five or six months later it would have been amazing," says Nicholl, who suggests that the Great Christ Comet was a bit like a Hale-Bopp "that came closer". Part of the book's appeal is its lavish illustrations, many provided by Nicholl's wife Sirscha, an artist. Nicholl says that in researching the book he has been drawn ever-deeper into the story of the Magi. "They were obsessed by this celestial entity which drew them away from their traditional astrology into an encounter with Jesus," he says. "In the way Matthew tells the story, when they fall down before Jesus there's a sense in which that is a powerful moment. "The early Christians perceived that the Magi abandoned their Magianism. We don't know for sure, but it would certainly makes sense. "When you follow through the story and you think through it from their perspective, and you think of the conclusions they are making, it would certainly be strange if they went back to their old ways. "As they make that journey, they know ahead of time that they are coming to worship Jesus." Researching and writing the book meant Nicholl had to step outside his comfort zone of theology and enter the scientific arena. He speaks of his determination to make sure that the biblical, historical and astronomical scholarship was all of a high standard. The calibre of the people who helped in his research and have paid tribute to the book, and the range of their specialities - from theology and philosophy, to astronomy and maths - speak of a mission accomplished. Unsurprisingly, he does not believe that science and faith are destined to be enemies. "The two fields must recognise their boundaries and engage respectfully with one another," he explains. "I genuinely believe that when science and faith come together, it's a beautiful thing. "Doing this project stretched me in so many ways - it was very painful to write, and it felt like it nearly killed me at times - and I did not want the astronomy to be rubbish." He submitted his research to some of the world's leading astronomers, and speaks warmly of how they were "open minded, zealous for truth". "It was a great encouragement and it was a thrill to see them engaged by the putting together of historical data and astronomy." 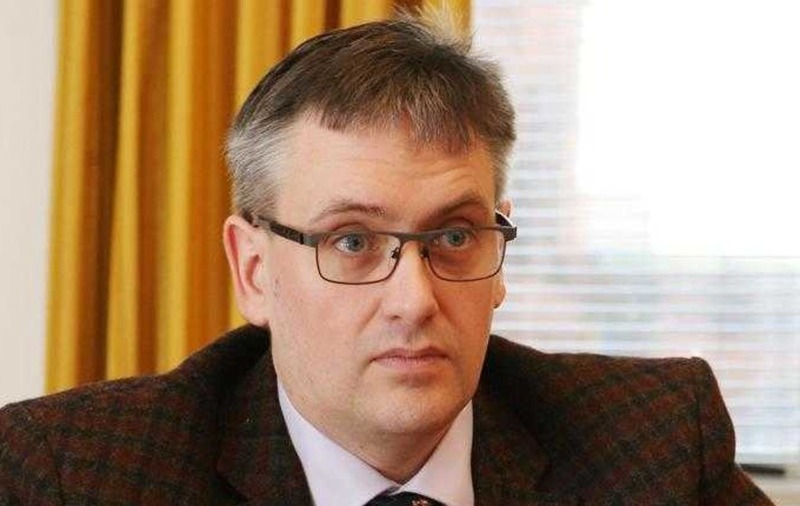 He speaks of how, after one particularly productive day at Armagh Planetarium, he was "shaking with the intensity" that his conclusions - that the Star of Bethlehem was a long period comet and the same entity throughout Matthew's account - had been verified. Having wrestled with the intricacies of astronomy to emerge with the Bible's account vindicated - and, by extension, he would argue, its further claims about Christ - Nicholl wonders more than ever why some Christians are satisfied with explaining the star as miraculous. "It's a safe view, because it means you don't have to get into any discussions with science or history," he says. "And it seems to me to be much more amazing, especially for us in the 21st century, to be able to look back and to have an avenue into the story so we can understand it, sympathise with its participants and feel an additional awe at what actually transpired. It has divine fingerprints on it." 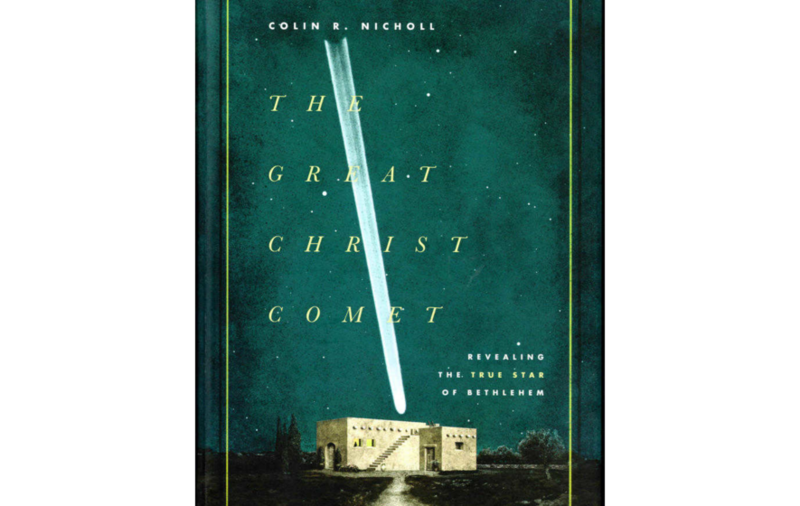 Whether you call it the Star of Bethlehem or the Great Christ Comet, Nicholl says the star is an "entry point to the biblical story, which allows us to enter into its vitality and life and thrill". For Nicholl, the Bible is an exciting, endlessly fascinating book. "I don't understand anyone who says the Bible is boring. Anyone who says that does not understand - they have not got close enough to the characters," he explains. "The Bible is a source of incredible riches and encounter, and we are doing the exact opposite of what we should be doing - we should be drawing more into the thrill of the Scriptures as they speak on so many issues, and not backing away from it. When we do that, we lose so much. "I want to call everybody back - but especially Christians - to say the Bible is an astonishing book. It's full, it's interesting, it's gripping, it's exciting and thrilling; you need to enter into the story, feel the power of what is occurring; you need to get a sense of the authenticity of the characters and the story." He says that "one of saddest things historically is that Christians think in their hearts - though they wouldn't say it - that the Bible is dull and boring, and that a church that goes light on the Bible or ignores it altogether is somehow better". 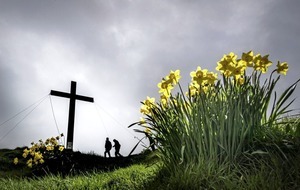 Christians, he says, should have a 'road to Emmaus' experience - a reference to the disciples whose 'hearts burned' as Jesus, following his resurrection, walked with them and explained the Scriptures. "That should be the experience of Christians as the Bible is opened up. They should walk away feeling excited, transformed and invigorated," he says. By way of example, he adds: "If we're perceiving the prophets to be dead or dull, we just haven't got the prophets - we show we haven't got a clue about the prophets. "Teaching the Bible or being in ministry is a serious responsibility, but the problem is we end up getting in the way and put up obstacles. It is a real travesty. "There is a revelatory thrill that's profound and life-changing and that allows the life in the text to flow out. 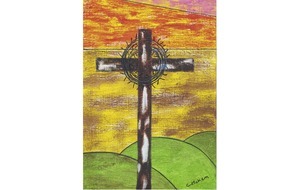 That's what true Christianity should be." Nicholl has other projects and books in the pipeline but for now it is the Star of Bethlehem, that Great Christ Comet, that is the focus of attention, as it was to those travellers from the east two millennia ago. How should we respond, beyond the carols, Christmas cards and nativity plays? As Nicholl puts it, the comet "beckons all humans to fall to their knees, doing so with greater awe than the Magi, reflecting a deeper appreciation of what God did to authenticate Jesus as the Messiah on the occasion of his birth - and how he did it."